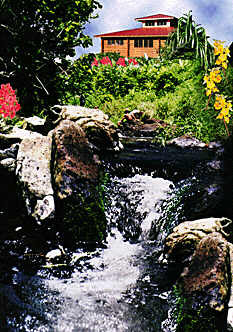 We are located in a quiet little village with a year round stream run-through the property. We are on the cliffs overlooking Waipio Valley and a beautiful black sand beach. Waipio Valley offers many types of outdoor activities. On the cliffs overlooking beautiful Waipio Valley with a one-mile long black sand beach below. On the quiet side of the island. Number of bedrooms: 1 ea. Number of queen size beds: 1 ea. Number of sleeper sofas: 1 ea. 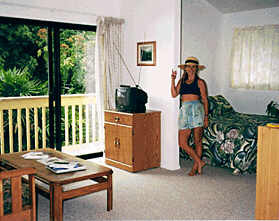 We have both vacation rental-type units and bed and breakfast-type units. 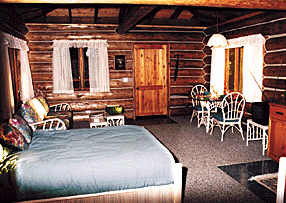 All rooms can accommodate up to 4 persons. Vacation rentals are equipped with full private baths and kitchens and entrances. Our B&B accommodations also have private baths and entrances. Number of bathrooms: 1 ea. Number of showers: 1 ea. Other Information about the bath facilities: All rooms have own private bathrooms, fully equipped linen accessories. Vacation rentals have showers only, B&B units have tub/shower. All rooms are open, studio-type. Very spacious. Vacation rental units have full private kitchens. B&B units are equipped with microwave/kitchenette.